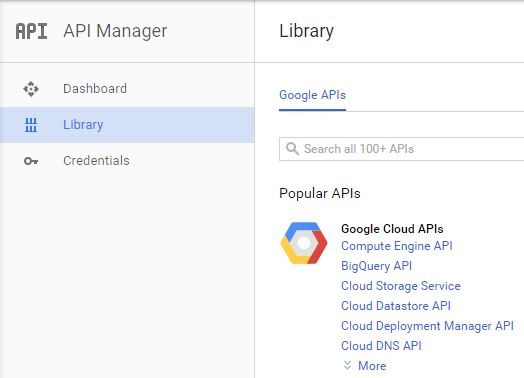 Note: Google are constantly moving around parts of their “Cloud Console”- some of the screenshots and steps may differ from those shown below if they change it again. So, please make some allowances and don’t get too confused! 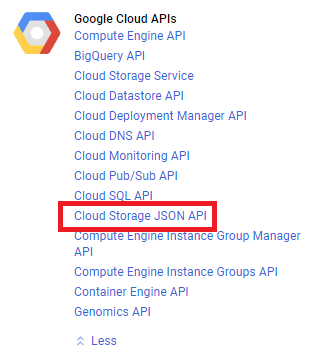 The screenshots below are from their current cloud console (October 2015)”. 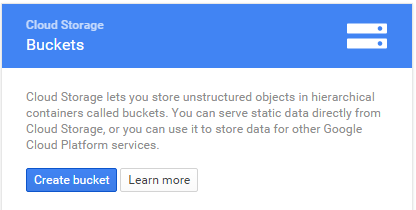 If you’ve not yet signed up for Google Cloud Storage, then you’ll need to. 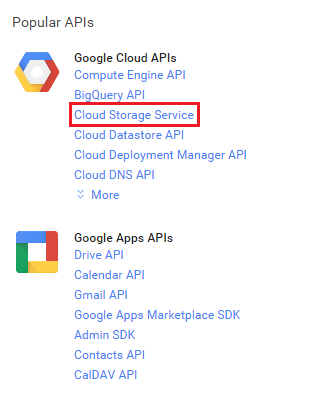 You need both a Google account, and either to sign up for a free trial, or to become a paying customer for Google Cloud. 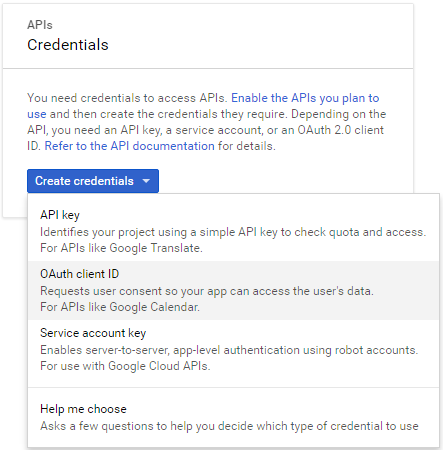 To allow UpdraftPlus to have access to your Google Drive account, click on the link to your API console to take you to Google; then click on the “Create project…” button. Specifically, you will need to enter a product name and an select an email address. If you see errors later about missing an application name or empty email address, then this is the relevant step. 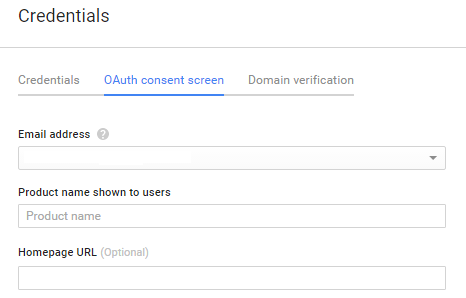 These details are shown back to you in step 7 (below) – Google do not use them for anything else. Under ‘Application type’ select ‘Web application’. You will then be shown your client ID and secret. Copy both of these somewhere safe for now. 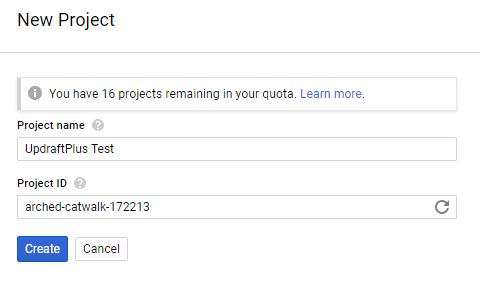 This step is optional, because UpdraftPlus can also create the bucket for you (if you enter your project ID in the UpdraftPlus settings). 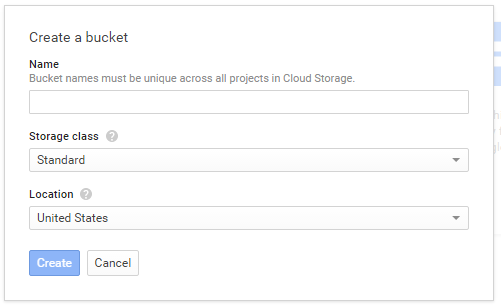 Each project has its own set of buckets. You can now create a folder to store your backups in if you wish. Then, you’re done. You can test your settings with the ‘Test Google Cloud Settings’ button, if you wish. 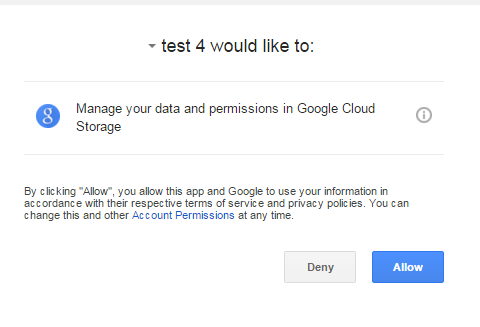 NOTE: If the settings test or backup fails to access Google Cloud Storage, and instead returns an ‘accessNotConfigured’ error, please try joining the ‘Allow Risky Access Permissions By Unreviewed Apps’ Google group. This group was set up by Google to allow users to access personal apps without requiring the app to be reviewed under Google’s new registration process. 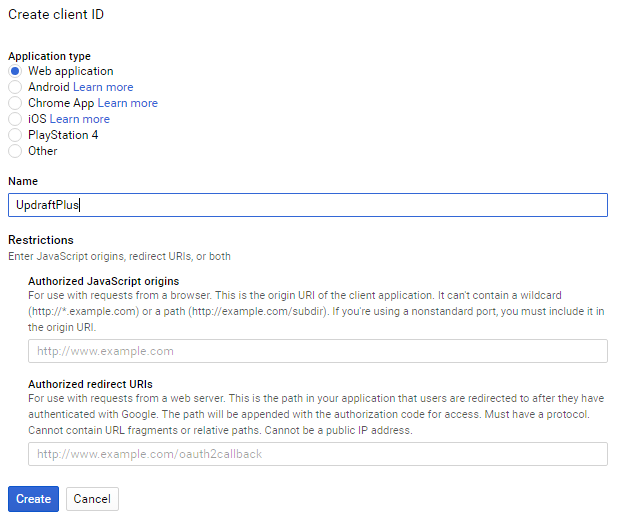 After joining the group, attempt to re-authenticate with Google Cloud, then test your settings.